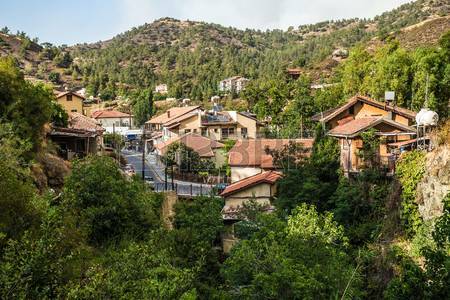 Troodos (sometimes spelled Troodos is the largest mountain range in Cyprus, located in roughly the center of the island. 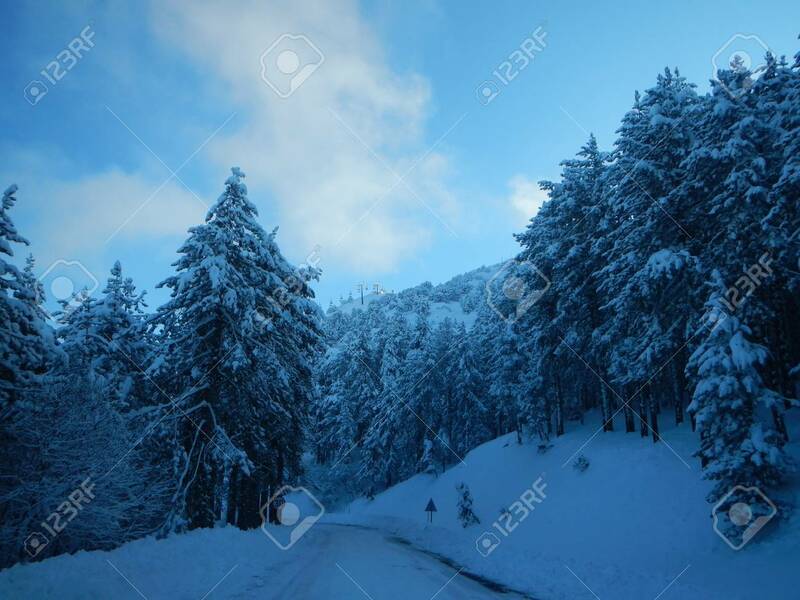 Its highest peak is Mount Olympus, also known as Chionistra, at 1,952 meters, which hosts four ski slopes. 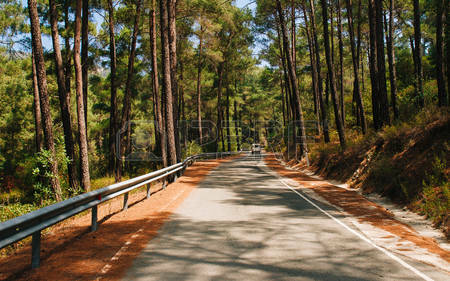 The name Troodos probably comes from one of two sources: either "tria odos", referring to the three roads that lead to the mountain, or "to-oro-ados", meaning the mountains of Adonis. 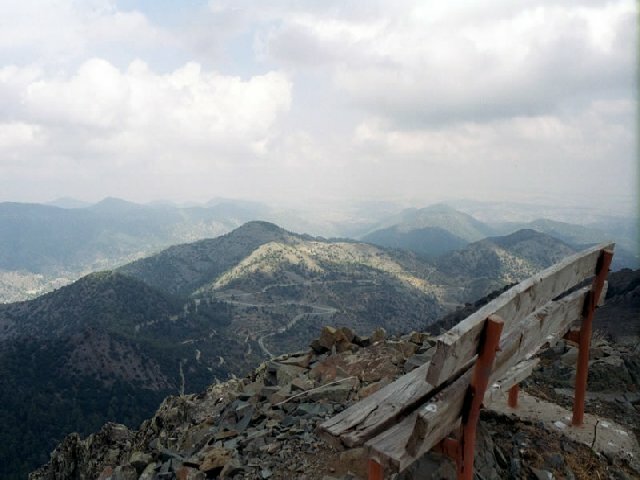 The Troodos mountains are known worldwide for their geology and the presence of an undisturbed ophiolite sequence, the Troodos Ophiolite. 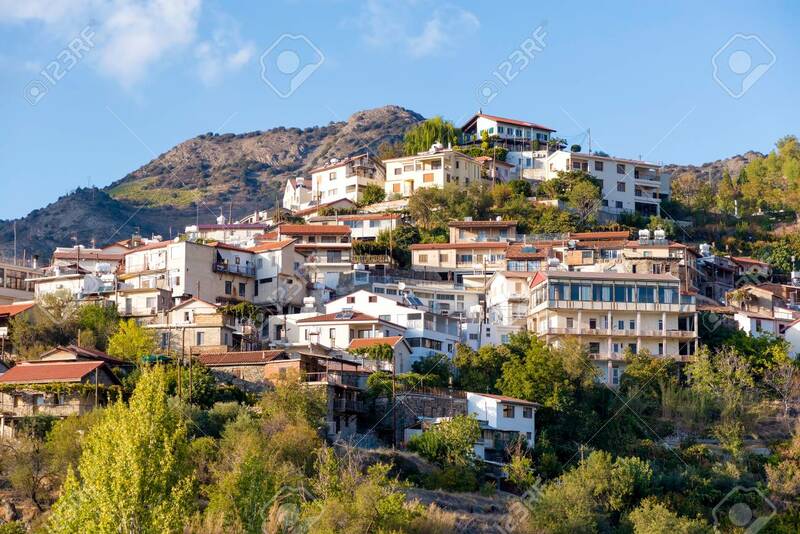 These mountains slowly rose from the sea due to the collision of the African and European tectonic plates, a process that eventually formed the island of Cyprus. The slowing and near-cessation of this process left the rock formations nearly intact, while subsequent erosion uncovered the magma chamber underneath the mountain, allowing a viewing of intact rocks and petrified pillow lava formed millions of years ago, an excellent example of ophiolite stratigraphy. 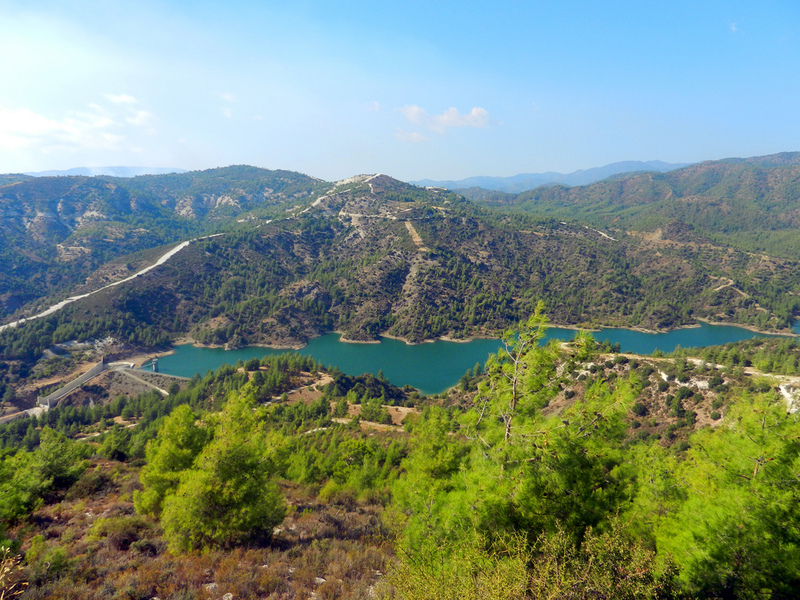 The observations of the Troodos ophiolite by Ian Graham Gass and co-workers was one of the key points that led to the theory of sea floor spreading. 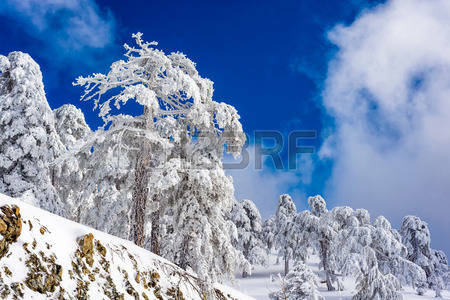 Troodos Mountains, due to its altitude, is covered in snow during the Cyprus winter months and has become a very popular resort for skiers. 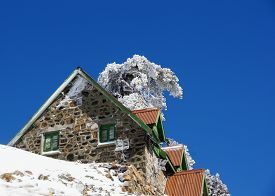 Tourists and local alike visit the mountains during the summer months to take a break from the searing heat down at sea level. 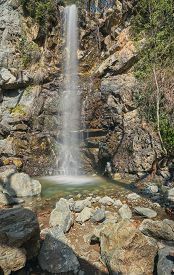 Walk through the forests on one of the listed nature trails, taking in the wonderful scents and aromas of the woodland trees and enjoying the waterfalls and fantastic views. 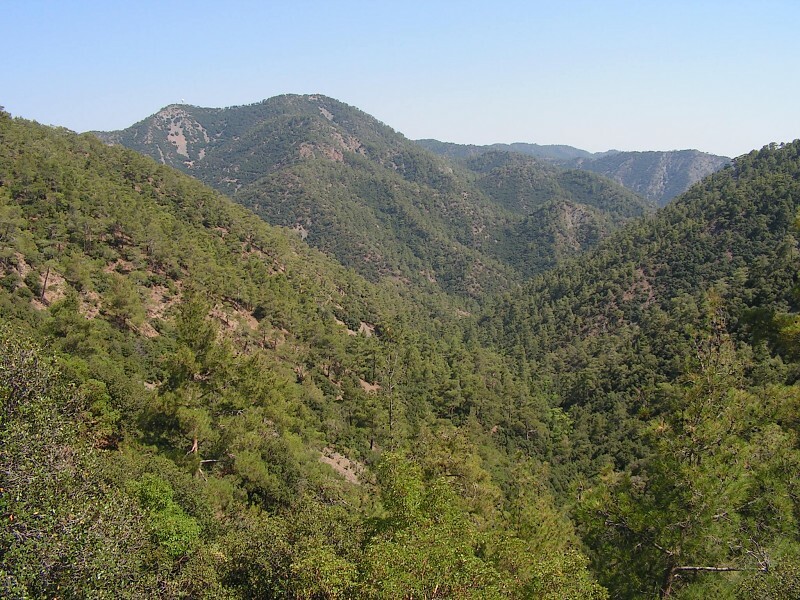 The Troodos mountains are unique in their geology and one of the only few places in the world where scientists can examine oceanic crust without needing to go to the sea. 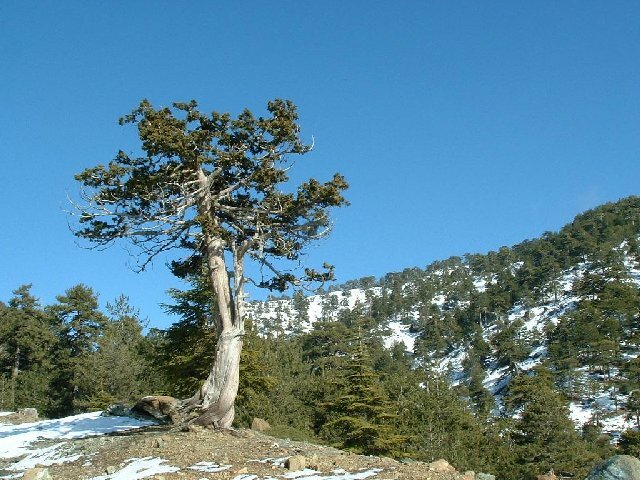 An underwater volcano that erupted 90 million years ago, and the reason the island was formed, has given rise to pillow lava which is observable throughout the mountains. 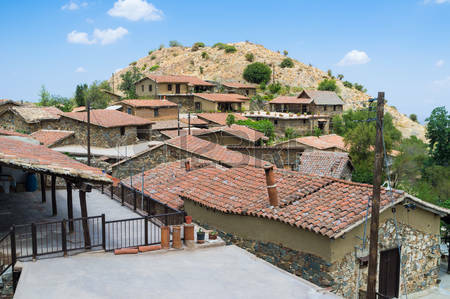 The area of Troodos is also home to one of the 5 most copper rich areas in the world. Some say the islands name Kypros is derived from the Latin name for copper, cuprum.